The Mars Exploration Rover mission is part of NASA's Mars Exploration Program, a long-term program to explore the planet with the robotic rovers Spirit and Opportunity. 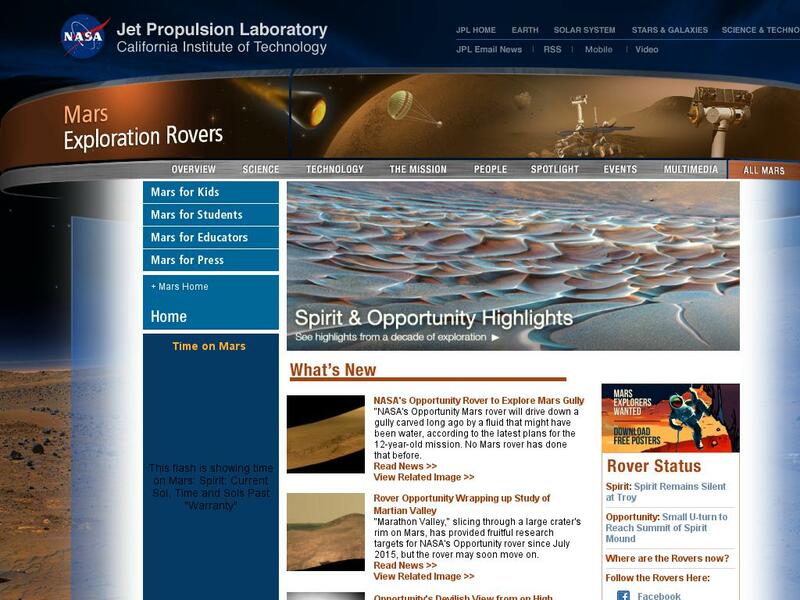 The mission's home page features press releases, imagery, and video from the mission. The kids' page includes interactive features such as games, hands-on activities, information on Mars, and information on special events. The students' page has information on educational opportunities connected to the mission, an interactive feature in which students can navigate a virtual Mars rover, and links to related web sites. The educators' page features classroom activities, media items, and information on professional development opportunities and mission-related education programs.